So many men with man-breasts...And so many estrogen mimickers in our environment. 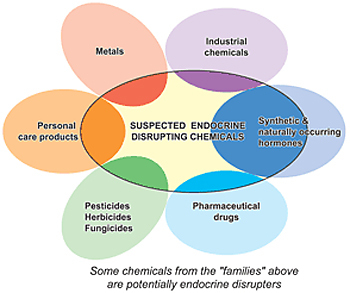 These xeno-estrogens overwhelm our own natural hormonal make-up, causing a huge imbalance of estrogen. These include: paint, plastic, perfume, pesticide, personal care products, pharmaceuticals, parabens - and a host of others. The biggest dreaded P is by far Petrochemicals. 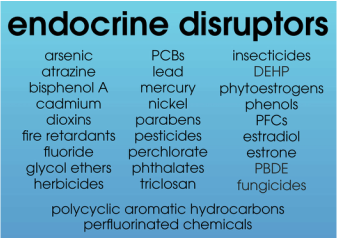 The reason for this is that most of the products and chemicals in the Dreaded P category are derived from petrochemical sources. For lots more information on this, please see our sections on non-toxic Face Care, Skin Care, Moisturizers, Cosmetics, Hair Care, Nail Care, and Body Care. Natural Fragrance, Footcare, Toothcare, Eyecare, Constipation Care, Chemical Sensitivity, Home Care, and Furry Friends. Whole Food, Vegetarian Diet, Meal Planner, Vegan, Raw Foods, Raw 'Snacks', Juicing, Smoothies, and Healthy Beverages. Very Effective - Try Making a Poultice with Detox Clay available at Morrocco Method.